Harvard University has an endowment of more than $36 billion. Playing out in the shadow of the noisier debate over corporate tax cuts, it pits Republicans against the colleges and universities that produce the type of highly educated voters and leaders who often oppose Republican policies. And it forces the colleges into the awkward position of publicly defending their enormous wealth at a time of rising student debt and soaring tuitions. Harvard leads the pack of total endowment with more than $36 billion, more than the entire gross domestic product of the state of Vermont. Princeton University has the top per-student endowment ratio, with more than $2.5 million for every full-time student. Even smaller schools in New England, such as Middlebury College and Bowdoin College, have endowments worth more than $1 billion. Some of the schools “simply want to have a tax-free investment,” said Republican Representative Darrell Issa, who represents a swing district in southern California and supports taxing endowments. Harvard officials turned down a request to be interviewed for this story. Though many of the wealthy schools remain tight-lipped about the Republican tax plan in public, some New England colleges are lobbying lawmakers behind the scenes as well as rallying their alumni. Institutions used to being heard, such as Harvard, are at a disadvantage with this White House because, unlike past administrations, President Trump has largely shunned the school’s graduates for top posts. Most of the wealthiest schools in the country are also clustered in blue states on the coasts, where Trump saw little support during his 2016 campaign. “These schools use endowments to build buildings, which employ our workers, and use it to subsidize student financial aid,” said Representative Michael Capuano, whose Cambridge district includes Harvard. “If Harvard has a smaller endowment, they are less likely to build a building. And that hurts my construction industry, that hurts my financial services industry,” Capuano said. Recently, even some Republicans have expressed reservations about the tax. But for conservative hard-liners, there will be no tears shed about increasing taxes on institutions that many believe socialize students to leftist values and are silos for the elite. Breitbart News, Fox News, and other conservative media outlets have often referred to Harvard as a “hedge fund with a university attached,” and have pressed lawmakers to tax the endowments. The “taxpayer gravy train” to elite colleges “needs to end,” said Adam Andrzejewski, an open government activist who led a segment on Fox News this year. In response, school administrators are telling supporters and lawmakers that the institutions use endowment funds to kickstart local economies and help low-income students with opportunities for economic advancement. Wellesley’s current total endowment, according to the school, is about $1.8 billion. Smith College president Kathleen McCartney called the tax “deeply concerning.” The Northampton school has an endowment of roughly $1.75 billion. 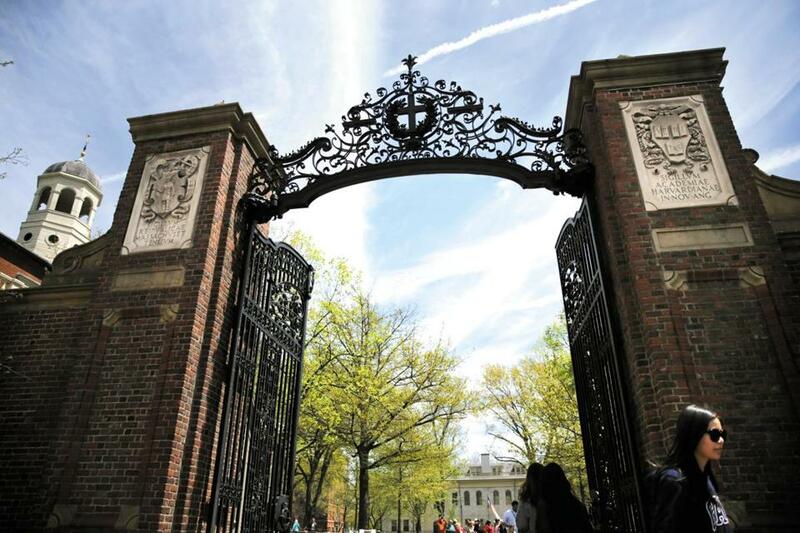 The $250,000-per-student threshold would also include some smaller schools in New England, such as Wesleyan University in Connecticut and Colby College in Maine. Those institutions have endowments of about $700 million. Massachusetts Senator Ed Markey’s office said it has been contacted by several schools, including Harvard, MIT, and Smith. Markey’s office also said it heard from schools that fall below the $250,000 threshold, because those institutions fear the tax would start a dangerous precedent. Markey sent a letter to the Senate Committee on Finance last week urging it to reject the House’s proposal on endowments. “I am greatly concerned that a tax on endowments will result in the availability of fewer dollars for scholarships, student services, research, and operating expenses at universities across the country, and particularly in Massachusetts,” Markey wrote to the Senate committee, in a letter provided to the Globe. “At a time of rising higher education costs, Congress should not be taking from nonprofit education institutions,” Markey said. Senate Republicans have included the endowment tax in their early blueprint of the tax overhaul bill, according to GOP leaders. It remains on the negotiating table, and the Senate Finance Committee has yet to release a text of its bill. Another complication: Perceptions of colleges and universities have become increasingly partisan in recent years. A July poll by Pew Research Center found 58 percent of Republicans and Republican-leaning independents now feel that colleges and universities have had “a negative effect on the way things are going in the country.” This number is up 10 percentage points in the last year, and is now on par with other polarizing institutions such as labor unions, churches, and the national news media.